I do not think of myself as a courageous person. I think many of my friends around me, family, strangers, and even my husband are courageous. But me? No way! At least that is what I tell my self and Satan too. He is great at that you know. He knows my weaknesses, hopes, and hearts desire, just like my God does, but he has a different plan for me than God. Not a perfect and pleasing plan. His plan is to not be courageous. I think it’s because he knows how powerful we can be when we are courageous people! 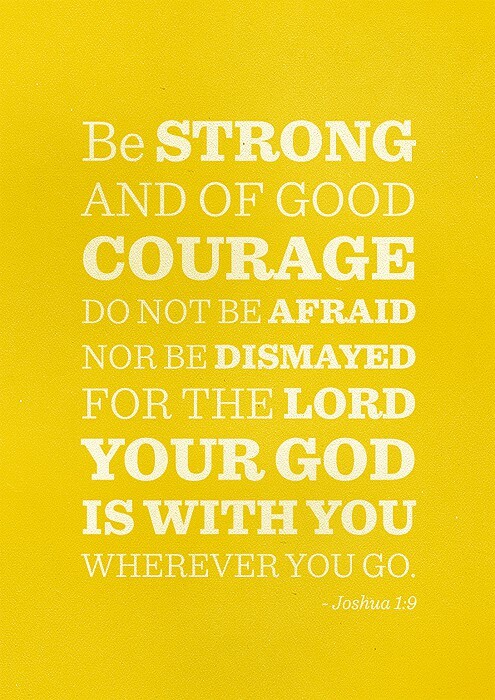 Courageous in God that is. I am not referring to courageous moments when you decided to ride that insanely crazy roller coaster. Not the courage to eat an oyster and then your left thinking oh no what do I do?!! I am not courageous where is a napkin! What was I thinking?! I will gracefully and quickly, well to say the least spit it in a napkin. Oh I will never forget that wanna be courageous moment! Thank goodness the friends/family I was with loved me, no matter what! I am talking about the kind of courage it takes to love even if that person doesn’t love you back. To give without expectations of recognition or even a gift in return. To say hello to a stranger with a caring heart. To love Jesus boldly and tell him I am forever yours! This is courage my friend! I am very thankful for the people who put their own lives at risk to save others, so very thankful. Courageous Indeed! So why are we not courageous people at moments? Satan? Ourselves? Critics? There are always difficulties arising that tempt you to believe that your critics are right. Critics are all around us. Some are strangers, some are family members, and some even ourselves. What is the saying? You are your own worst critic. Whatever the motives of a critic, they can do it better, do not understand you, maybe a negative person. Your lack of confidence. Your scared to fail. Whatever the reason or whoever the critic. Be COURAGEOUS and soar your wings! Rise above the low standards of normality and be courageous in God’s word. Your critic will not rise with you and cheer you on every step of the way. But I do know that God will encourage me and be there every single step. Today rise up and be COURAGEOUS in everything you do.